#10 – “FRANKENWEENIE” – I’m as shocked as you. The idea that a Tim Burton picture would be on my Top 10 list amazes me. 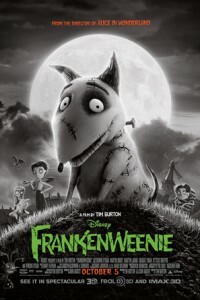 I’m not a Burton fan but “Frankenweenie” is an animated delight. It’s one part tender tale about a boy and his dog and another part the Frankenstein story and it works beautifully as a collective whole. It’s also an old school horror movie homage with tons of fun references to everything from the monster pictures of the 1950s to the classic Universal horror films. But the key reason it works is that Burton wisely focuses more on telling a good story than promoting his unique style. The result is a fabulous animated treat that I adored. #9 – “PROMETHEUS” – I know this will be a controversial pick just judging by the variety of differing opinions about this film. 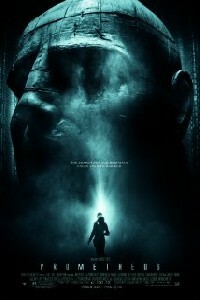 But I gotta say that I loved “Prometheus”. I loved the universe. I loved the special effects. I loved most of the cast. I loved its open-endedness. Are there holes in the logic here and there? Sure. But for me Ridley Scott supplied me with another exciting sci-fi experience that may not answer all the questions as it advertises, but it still reminds me of what an intelligent and visionary filmmaker he is. I stand firmly beside “Prometheus” and sincerely hope that the $400 million box office was enough to ensure us a follow-up. 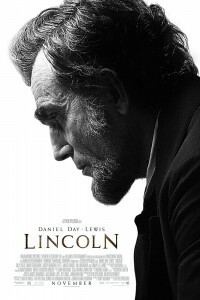 #8 – “LINCOLN” – Steven Spielberg’s “Lincoln” is a movie that may surprise a lot of people. While there are a few Speilberg overindulgences, as a whole he really dials it back and it works beautifully. This isn’t a film steeped in huge set pieces and heavy melodrama. This is a performance driven drama with possibly the best ensemble casts of the year. Daniel Day-Lewis reaffirms his status as the greatest working actor with a fine performance. Critic Leonard Maltin called the performance miraculous and I have to agree. He loses himself in this towering historical character and I was hooked on every line and every mannerism. That’s the biggest reason the film worked so incredibly well. 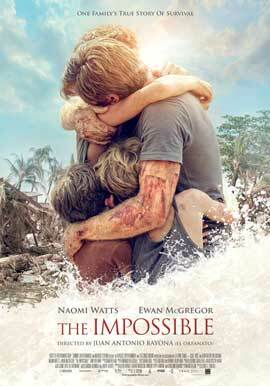 #7 – “THE IMPOSSIBLE” – There have been many disaster movies that have made their way onto the big screen. But none has ever gripped me and affected me the way “The Impossible” did. This is one of the most poignant and powerful pictures I watched all year. It’s also a draining and at times difficult movie to endure. But the reward is overwhelming as we watch the best of people come out in a truly devastating circumstance. This is an intelligent and respectful film about the Indian Ocean tsunami and it’s aftermath. Naomi Watts and Ewan McGregor give stunning performances and newcomer Tom Holland should garner a lot of attention. Don’t brush this movie aside as just another disaster film. It’s so much more. #6 – “SKYFALL” – It wasn’t until Daniel Craig took the reigns of 007 that I became a huge James Bond fan. Now I’m hooked. “Skyfall” is a wonderful action thrill ride from director Sam Mendes and is arguably the best Daniel Craig Bond picture yet. It’s loaded with the expected blow-your-socks-off action shoot-outs and car chases. But it also fleshes out Bond more as a person, something I really responded to. Javier Bardem, while underused, is a blast and it was great to see Judi Dench’s role expanded. “Skyfall” has raked in over $1 billion dollars worldwide but it’s well deserved. This is just more proof that big budget films can and should knock it out of the park. #5 – “ARGO” – For my money Ben Affleck has proven himself to be an incredibly capable director. “Argo” is a shining example of his abilities behind the camera. This sizzling picture set during the Iran hostage crisis of 1979 is an edge-of-your-seat thriller anchored by a fantastic cast, sharp direction, and Chris Terrio’s slick and intelligent screenplay. It dramatizes the absurdity of the real life hostage rescue in a way that had me glued to the screen. And the perfectly realized sense of time and location just seal the deal. It also features what may be the best opening 20 minutes I have seen in several years. 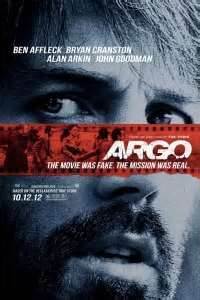 I love “Argo”. It’s storytelling at its finest. 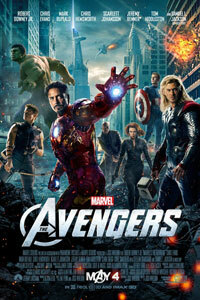 4 – “THE AVENGERS” – It has become the norm for Hollywood to release several big budget superhero movies each year. But very few are as good as “The Avengers”. This was one of the most ambitious projects and it had potential to be a disaster. It was far from that. “The Avengers” was one of the most well-conceived and well-executed movies of the year thanks to the clever and often times hilarious screenplay from Joss Whedon. Loud laughs and thunderous applause filled the theater during both of my big screen viewings and I was right there with them. In terms of sheer fun at the movies, “The Avengers” was tops and that makes up for any tiny flaw it may have otherwise. #3 – “MOONRISE KINGDOM” – It’s safe to say that I have evolved into a full-blown Wes Anderson fan. 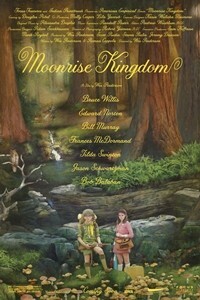 “Moonrise Kingdom” solidified that for me. This is a film that perfectly encapsulates Anderson’s special brand of humor and style. There’s a beautiful and sensitive story of eccentric children’s puppy love and their feelings of not belonging. But there’s also the story about the adults within a small New England community and all their imperfections. And then there’s Anderson’s razor-sharp script – some of the best writing of the year. Great performances, hilarious moments, perfectly quirky music, and an artful 1960’s aesthetic are all spread across Anderson’s gorgeous canvas. #2 – “BEASTS OF THE SOUTHERN WILD” – This is a movie that I didn’t catch up with until later in the year. Suffice to say it really blew my mind. This was clearly the biggest surprise of the year for me as well as the most moving and emotional film of 2012. A first time director and two first time performances create an experience that pulls you into the isolated and poverty-stricken world of a 6-year old girl named Hushpuppy. It’s sometimes heartwarming and sometimes deeply unsettling, but it’s riveting cinema throughout. This is small and little known film that is finally getting an audience and stands above most every film of 2012. #1 – “THE DARK KNIGHT RISES” – No other movie of 2012 combined the thrill of adrenaline-fueled action with the art of pure cinematic storytelling. 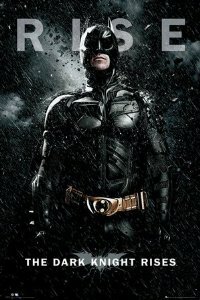 Christopher Nolan wrapped up his phenomenal Dark Knight trilogy with yet another sharp and layered movie. Tom Hardy is a brute presence and Ann Hathaway makes Selina Kyle (a.k.a. Catwoman) a much more grounded character. The entire film is laced with a tinge of realism but it’s still a rousing superhero experience. Some have had issues with this film but I found it to be brilliant and the perfect ending to one of my personal favorite trilogies. This is also Nolan’s third straight film to end up as my year-end #1. Bravo! 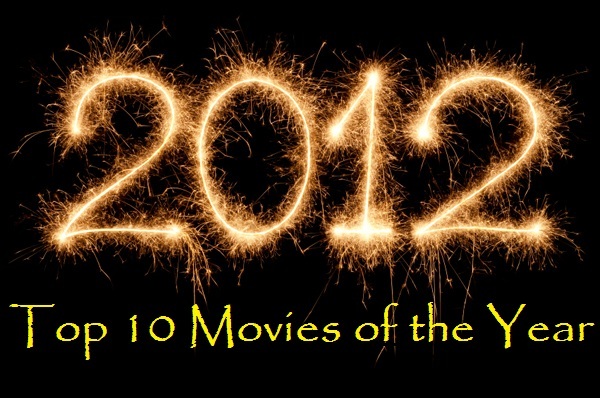 So there they are, my 10 Best Films from the 2012 year. What are your thoughts? Where did I go wrong? What’s your favorite film of 2012? *After writing this I was able to catch up with “Zero Dark Thirty” and “Amour”. Let me say that both would make my Top 10 without a doubt! This entry was posted in Movie News and Articles and tagged argo, beasts of the southern wild, ben affleck, christopher nolan, daniel craig, daniel day-lewis, frankenweenie, josh whedon, lincoln, moonrise kingdom, movies, prometheus, ridley scott, skyfall, steven spielberg, the avengers, the dark knight rises, tim burton, top 10 films of 2012, wes anderson. Bookmark the permalink. I’ve not been able to see about half of the films on this list. Sadly. Fully approve of the films I did see, that are included here. Especially The Dark Knight Rises. Definitely the perfect ending to Nolan’s Batman saga. Nice to see Prometheus here too. Solid sci-fi film. Beautiful to look at and one of the best space sci-fi films I have seen in a long time. Thanks! I know Prometheus frustrated a lot of people but it worked for me because of the things I listed. But DK Rises was an absolute blast. I’ve watched it three times now and it has hit its mark each time! I’ve seen all the films here except for Frankenweenie and The Impossible. Good picks, I liked all of these films. Thanks man. I hard a hard time putting this list together. There were a few that I hated to leave off. You had me until Dark Kinght Rises… I’m well on the record saying its really overrated, and flawed to the point of me not enjoying anywhere near as much as I should have. Beasts and Impossible HAD to be on this list. Powerful movies that really had an impact on me! Loved them both. Only joking man, nice list. 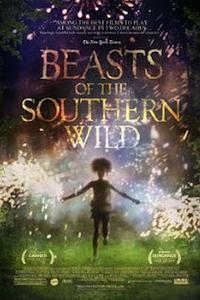 I’ve yet to see some of them, particularly TDKR and Argo but great to Beasts of the Southern Wild so high. I’d have amongst the top two or three as well. LOL! Life of Pi didn’t even make my “to watch” list. But that’s a bit unfair. I MAY see it at some point! That’s a real favourite of mine from last year. Wonderful film. I haven’t seen four from your list yet, Keith, but they’re on my ‘to rent’ list for sure. Btw, looking at your comment above, you’re not curious about Life of Pi? Someone mentioned the spiritual aspect of it that got me intrigued. I’ve read enough a out to feel that it’s not my cup of tea. I’m also not much of an Ang Lee fan. In sure I’ll give it a look when it hits DVD and BR especially if it gets more nominations this awards season. I only love one Ang Lee movie, Sense & Sensibility, but it’s it’s one of my favorite movies of all time! I appreciate that he tackles multiple genres, so I’m curious to see how he does with this adaptation. That’s the one! A while ago when I was searching for something different to watch I was trying to remember the film that you championed but that I had not seen. It was S&S. Haven’t seen that one yet. Gotta give it a look. You absolutely must!! The characters, the story, the convictions… I love everything about that film. As a Christian, I especially appreciate the positive message it touches upon. It just never gets old for me. I think Life of Pi is one of those movies that are best appreciated on the big screen. The scale on a television screen, be it as high definition as possible, would still be scaled down. But yeah, Life of Pi is depressing stuff haha. I’ve heard that. I’ve heard it’s a real visual treat that should be enjoyed at the theater. I think I missed my window there. We only match in two of your picks. xD Argo and Avengers did made it to my personal faves. But especially Beasts and Lincoln, those are two films I couldn’t stand. Combined we cover a wide range of films then don’t we? lol! Thanks for checking out my list. I know Beasts has brought out a lot of varied reactions. Obviously it works for me but I know some that just didn’t like it at all. Quite the list you have there. You list movies from the wide released to the indie ones. I need to see The Impossible this week. Most disaster movies focus soely on the effects. I’m glad this one focuses on the characters more. Thank you! You hit the nail on the head about what makes The Impossible so good (My full review of it goes up tomorrow). It’s about the people and the struggle and it’s a very responsible tackling of that devastating situation. I am not a weepy kind of guy. But I teared up all through that movie. It’s that powerful. Never manipulative, but powerful. LOL! Wasn’t Frankenweenie a gem? I loved that movie. Would also be interested to here your thoughts on The Impossible. LOL! I was aiming for a slightly high mediocre to low adequate! One of few top 10s of 2012 that have The Dark Knight Rises at the top. I can’t disagree with that sentiment. Although I haven’t put together my own top 10, Nolan’s film would certainly be right up there. I was surprised by the quite negative reaction the film got from some quarters. I think it’s a great film despite its plot inconsistencies. Sometimes I wonder if these same people ever watch Superman and question his ability to fly without wings or an engine! Thank you, thank you, thank you, thank you! So glad to hear someone else giving TDKR so cred! I thought it was a fabulous mix of layered storytelling and superhero, big-budget action. Nolan has a knack for that and he knocks it out of the park with this one. And amen to the Superman comment. It seems as if certain movies get passes when it comes to seamless logic while others are grilled for it. Sure there are some plot inconsistencies, but they are minor in my book. Nolan really sells the story and I was hooked from the opening scene to the ending credits! That’s what I thought Keith. I loved The Dark Knight and didn’t think Rises quite matched it, but if you forget TDK for a second, Rises is a marvelous film in its own right. I saw it in the IMAX and the visuals were staggering. Yes, same here. It’s fantastic in IMAX. Awesome! I’ll be checking it out real soon. Thanks. Great list, Keith! Some of this I’d add to mine (Argo, Prometheus, The Impossible, Skyfall), some I definitely wouldn’t (TDKR, Avengers, Moonrise) and other I haven’t seen yet but looking forward to (Frankenweenie, Beasts, Lincoln). I’d fit Zero Dark Thirty on mine after seeing it last night! Solid list. Skyfall was my #1. I’m a huge Batman fan so you’d think I’d put TDKR up top, but I think it only made #8 for me. Glad to see love for Beasts! No gripes about Skyfall. Tremendous mix of character work and big budget action. Loved it! Thanks for checking out my list! Snap on your number one! But I still need to see 2 and 3. You must be very happy for Beasts to get so much recognition at the Oscars. Can’t wait to see it! Thrilled that Beasts got some Oscar love. It really surprised me. Definitely see it. I’ve described it elsewhere as beautifully tragic. I live it. I agree with most–have yet to see The Impossible–except Skyfall and Prometheus (both were solid disappointments for me–not bad–just missing the mark in one way or the other). I have to admit that the year turned out better than I expected. I’m 100% with you on Moonrise Kingdom. It was so, so good. A lot of people had a similar reaction as yours with Prometheus. But I just really enjoyed it. Awooooo! Totally in love with your number one pick! 😛 And Skyfall was great, love to meet fellow Craig Bond fans, I hate hearing how he is just not suited. 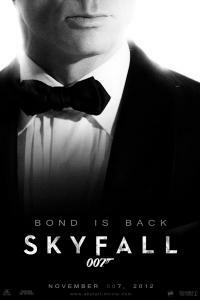 He is the best Bond EVER, in my opinion, anyway! Oh I think Craig is great also! To be honest, I don’t know a lot about the Bond movies and it was Daniel Craig who really got me interested in them. I love his take on 007! Exactly. I am ashamed to say how few of them I’ve seen (And I call myself a movie fan). But I have started that experiment. I just went out and bought Goldfinger on blu-ray about a month ago.